Boston Police report officers investigating gunfire in the area of Blue Hill Avenue and Winthrop Street around 8:30 p.m. on Saturday spotted a guy "walking quickly while looking back over his shoulder towards Dudley Street and clutching the front waistband area of his pants." Read more. Boston Police report a Lexington man was drunk early this morning when he sped past officers at a traffic stop on Blue Hill Avenue and that his Dorchester passenger had a loaded gun under her seat. Read more. The Boston Licensing Board voted yesterday to deny requests from Wingz and Tingz to serve up chicken wings and things until 3 a.m. on Fairmount Avenue in Hyde Park and Blue Hill Avenue in Grove Hall. The decision means the Hyde Park branch has to stick with its current midnight closing time and Grove Hall with its current 11 p.m. closing time. Boston Police report a Hyde Park man was fatally shot around 8:50 p.m. at 1651 Blue Hill Ave. Read more. 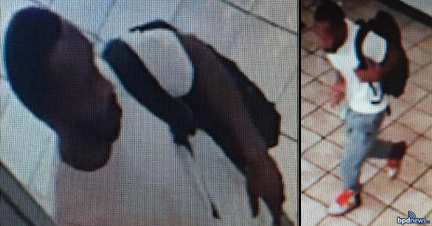 Boston Police report arresting John Jackson, 24, of Mattapan on charges he shot a 15-year-old girl inside a Blue Hill Avenue restaurant around 11:35 a.m. on July 17. Boston Police report a woman was shot inside the restroom of a restaurant at 998 Blue Hill Ave. around 11:35 a.m. on Tuesday. Read more. On Blue Hill Avenue at Castlegate around 12:35 p.m. Injury not life threatening. A Suffolk Superior Court jury today convicted Charlie Brea, 32, of South Boston, of first-degree murder for the death of Luis Montanez, who simply had the bad luck to be standing outside the old Breezeway bar on Blue Hill Avenue in Roxbury when a fistfight erupted. Read more.